Packages upon packages have been arriving at the library almost daily in this busy month of May, delivering all kinds of delightful books! A few more are still on their way, but I wanted to show everyone just what the Read-a-Thon money did for the CHESS library. 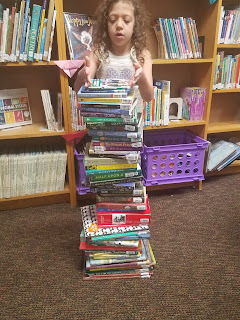 So I recruited a helper to give us some perspective, and behold, a tower of books! 1. We'll be kicking off the "Tower of Books Reading Challenge" on Thursday, June 7 (times TBA). Rising Kindergartners through high school students (new and returning students) will be invited to participate. 2. Students will select their challenges, based on grade level, as well as the number of books they think they'll be able to read over the summer (for most grades, there are 20, 30, and 40 book options). We don't want our challenge to compete with the summer reading programs at local libraries, so we'll encourage students to use their challenges alongside those reading programs. 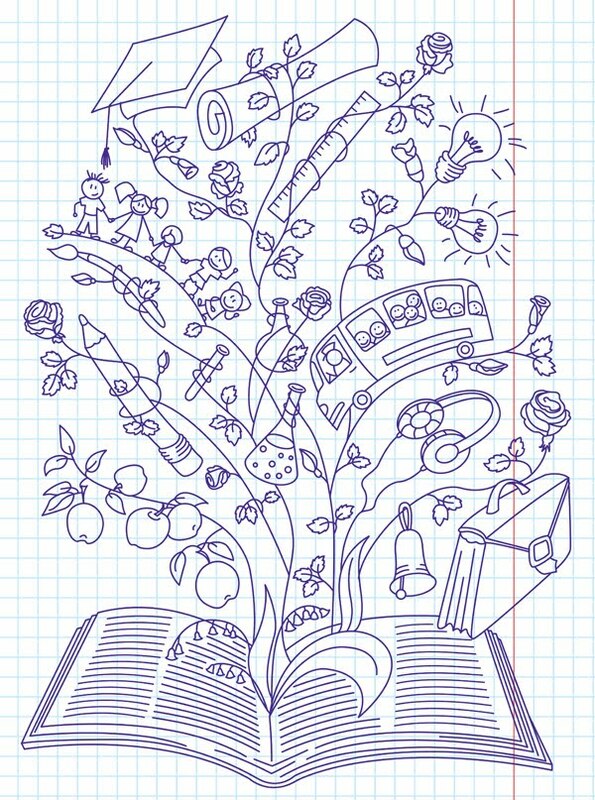 Ours will simply direct students to books from particular genres and categories. 3. Students can read books in whatever order they wish, and as they finish books, they will begin to build their towers! And if they find themselves going faster or slower than they had anticipated, they can always switch challenges. We want this to be an enjoyable and successful experience for everyone. 4. Throughout the summer, we'll be offering a number of events that will allow CHESS students to visit our library, but also to fellowship with friends! We'll be announcing these dates in the next couple of weeks. 5. At Back-to-School Night, students will turn in their completed book towers and will receive a prize! Questions? 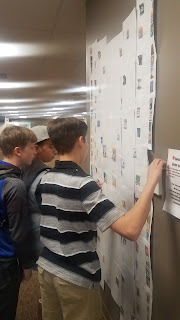 Email Mrs. Meester at library@chesschristian.com, or better yet, stop by the library and see what the challenges and the book towers actually look like. I'll be more than happy to talk to anyone and everyone about it! I'm excited about this fun opportunity for CHESS students to read, learn, and stay connected over the summer, and can hardly wait for June! Our first Spring Read-a-Thon ended on April 21, with students turning in their donations through April 30, and it turned out to be a bigger success than we had anticipated! After tallying up the numbers, we were excited to see $500.22 go into the library's book fund (our kindergartners brought in the highest amount, at a staggering $215.50, so they should be looking for their doughnut reward one day next week)! We're even more excited to show our students just what their hard work will do for the library. We'll be sharing pictures soon, along with announcements about our fun plans for the summer! Also in the near future: We're going to be unveiling our new library platform, which will greatly enhance the CHESS library experience. It will be available for use during our summer program, and will continue to assist us throughout the following school year. In the meantime, however, the check-out function of the library is now CLOSED. All books and materials are due by May 17th, and fees, up to and including book replacement charges, will be assessed on May 25, if necessary. But never fear! The library will be available once again for new and returning students during our SUPER FUN summer program (which we may have mentioned once or twice already). We can hardly wait!